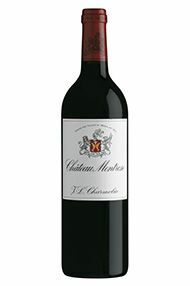 The Wine Advocate - Tasted at the chteau, the 2004 Montrose is a blend of 64% Cabernet Sauvignon, 32% Merlot, 3% Cabernet Franc and 1% Petit Verdot picked between 24 September and 15 October. It has a foursquare but precise bouquet that unfolds in the glass to offer brambly red berry fruit, tar, undergrowth and cedar aromas. There is a touch of mint that emerges with aeration. 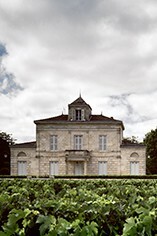 The palate is medium-bodied with tannins that gently grip. It is more savory than other vintages: hints of bacon fat and bell pepper towards the harmonious finish that lingers nicely in the mouth. Probably earlier drinking that other vintages, yet this Montrose has personality and will give drinking pleasure for 15-20 years. Tasted September 2016. Parker - An impressive effort for the vintage, the 2004 Montrose possesses a deep ruby/purple-tinged color as well as a sweet nose of black fruits intermixed with notions of smoke, cold steel, earth, and subtle background wood. With excellent texture, a sweet ripeness, medium to full body, and moderate tannin, it should drink well for 15+ years.